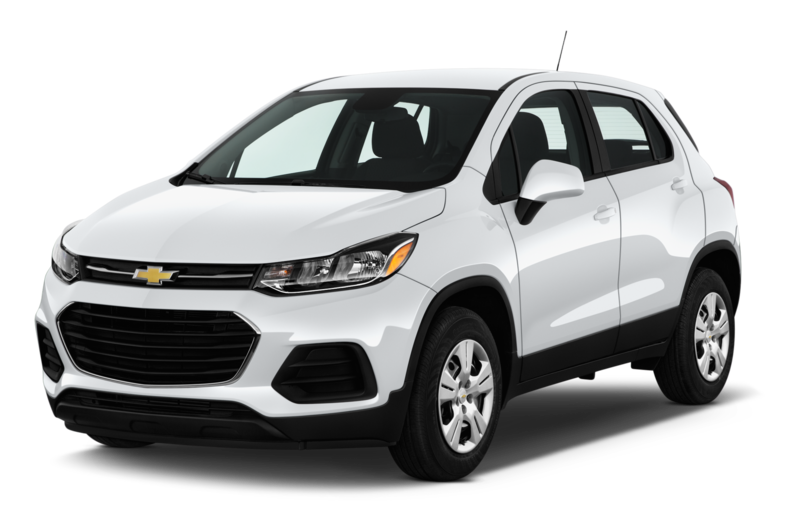 Today’s 2017 Chevrolet Trax is a subcompact crossover that’s cheap, slightly cheerful and an all-around decent form of transportation. 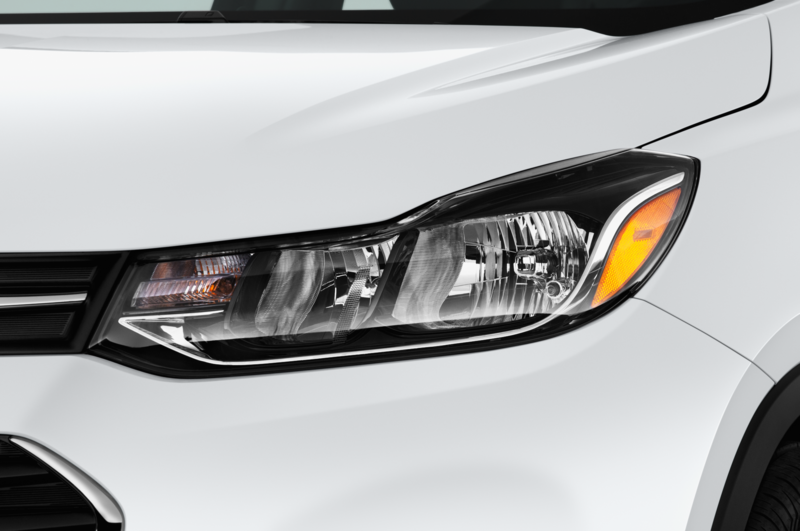 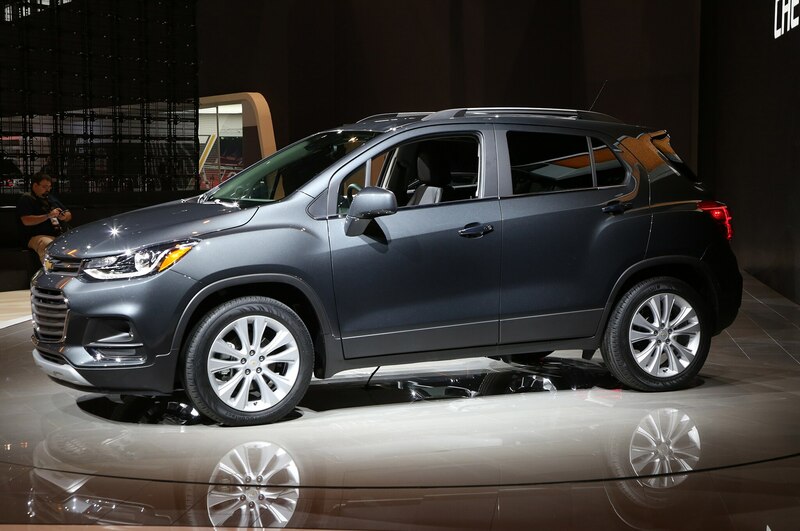 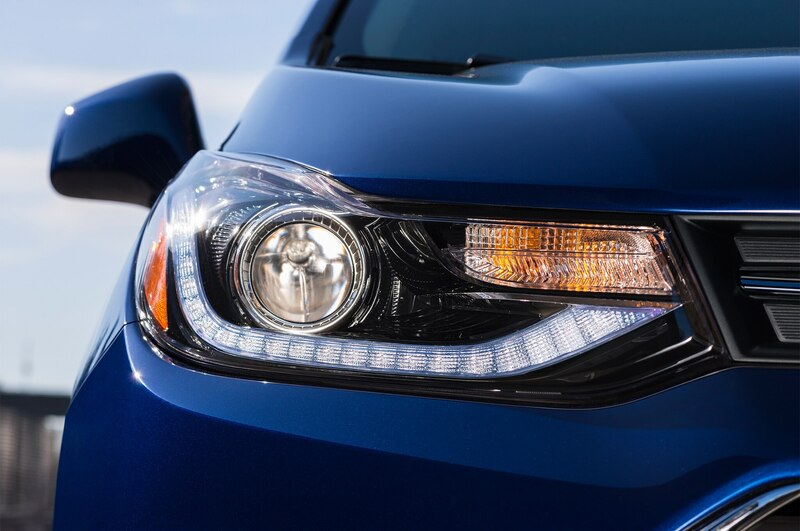 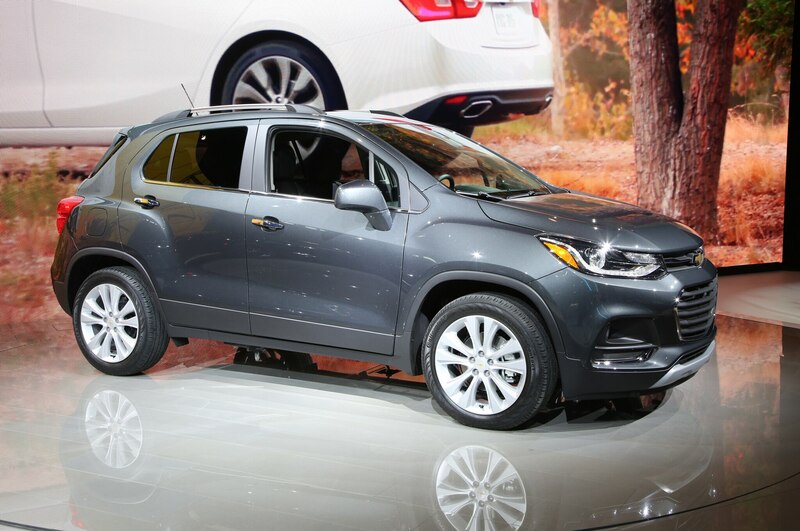 There are those among our staff, including the author, that do not likesubcompact crossovers. 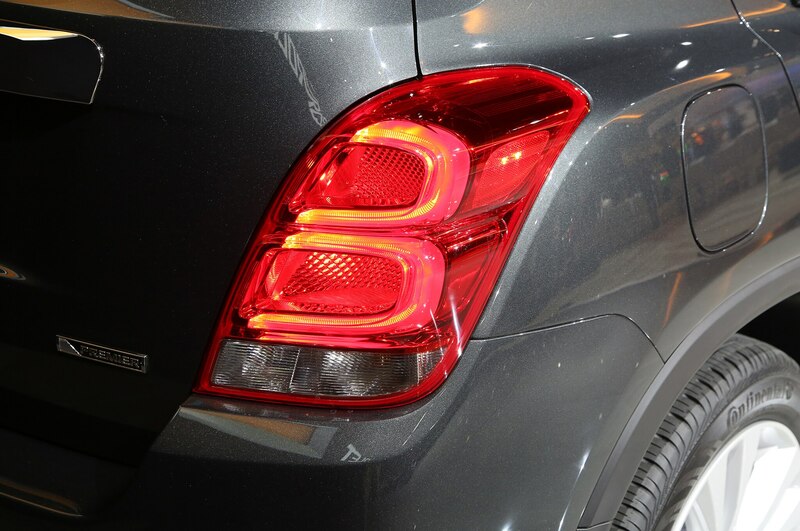 However, when an automobile doesn’t purport to be something it’s obviously not, we can’t help but appreciate it just as much as the flashy supercars we cherish. 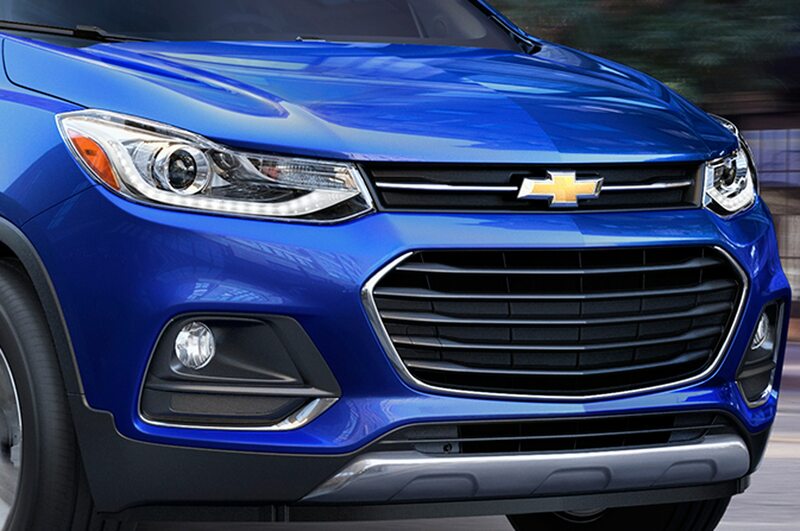 Because when a car is honest to the customer, everything else really doesn’t matter. 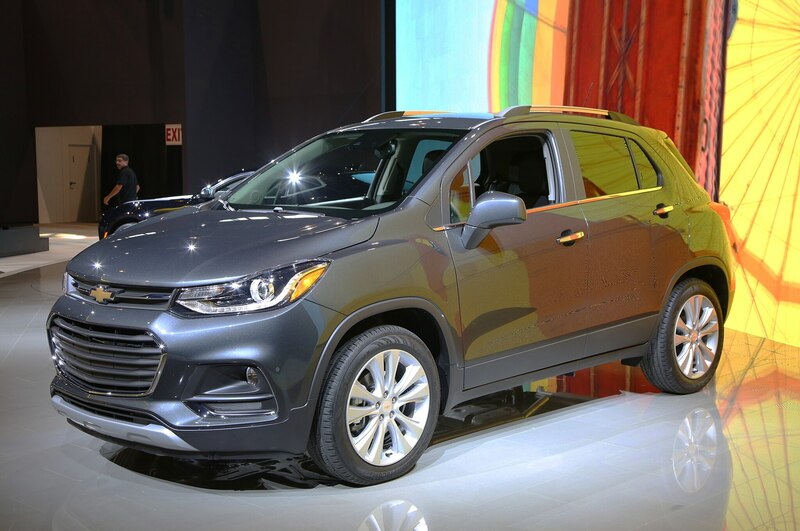 Take a look at the marketing for most of thesubcompact crossover market. 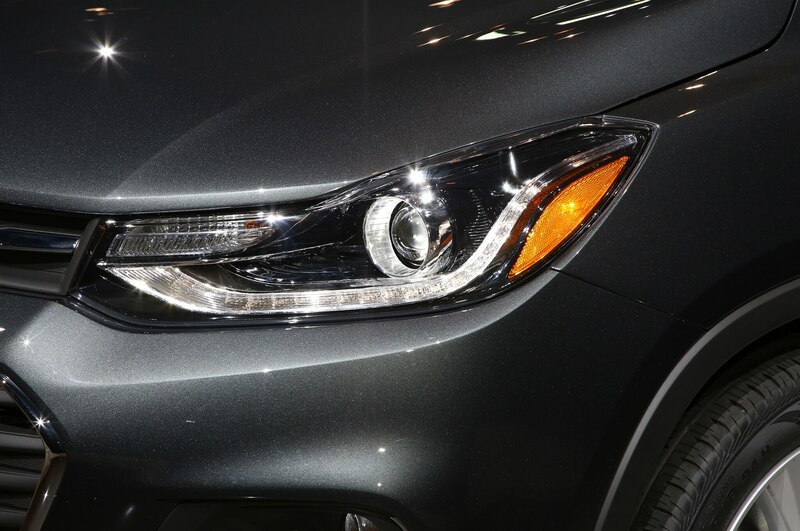 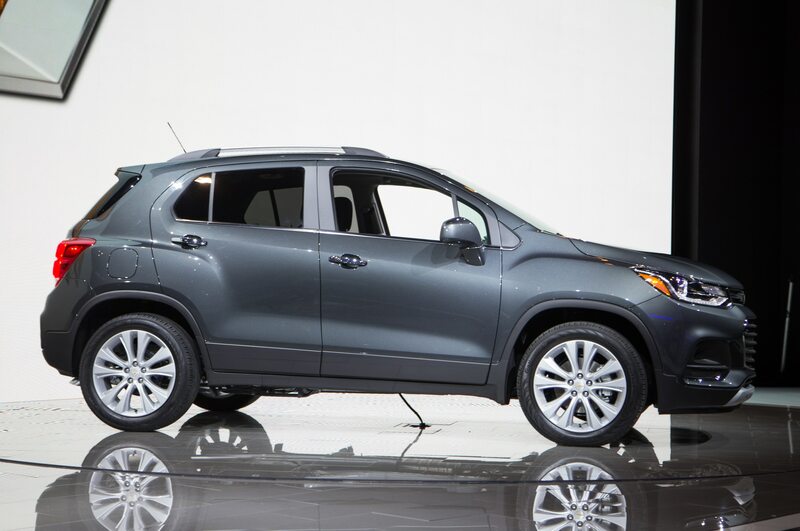 “This is a sporty crossover!” you’ll see in the ads for the Infiniti QX30 S. Or there will be a Jeep Renegade spot with the tagline “Look how rugged and capable it is as it crosses the Rhine River!” Yet neither of these, or their ilk, are as sporty or capable as their marketing purports. 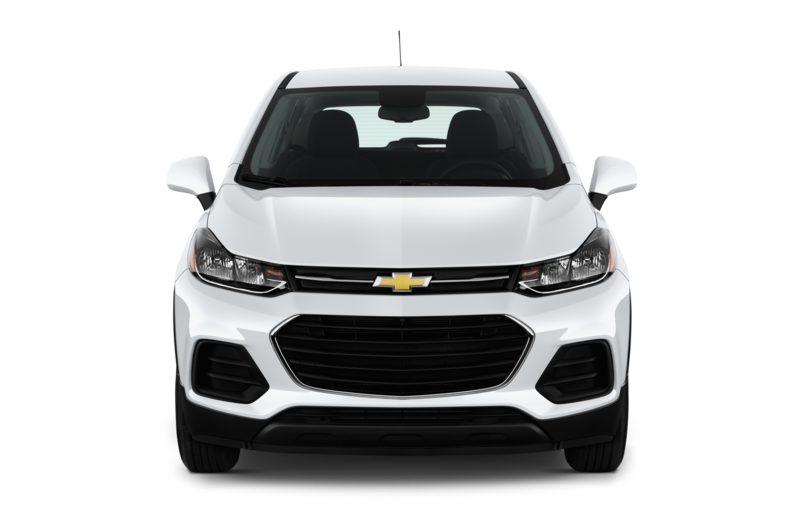 They are slightly lifted hatchbacks meant for city-dwelling youths that can’t afford pricier vehicles, something that shouldn’t be covered up by glitzy marketing. 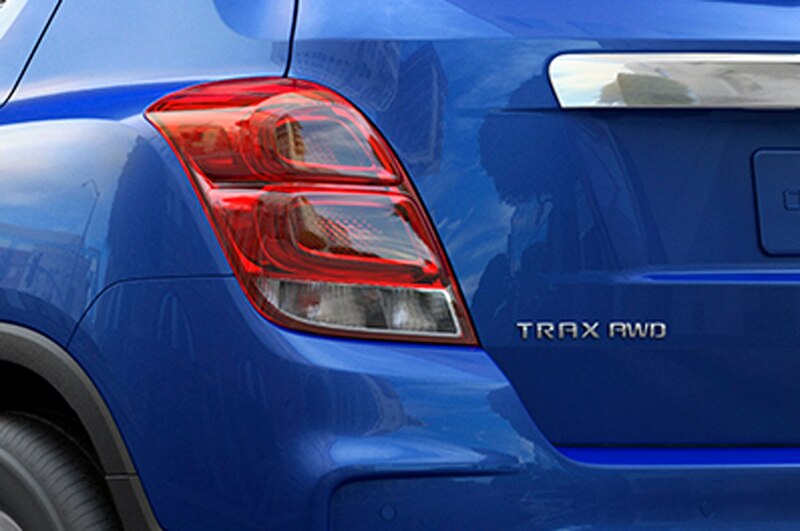 And that’s exactly how the Chevrolet Trax is marketed: as a cheap, honest vehicle for a younger demographic. 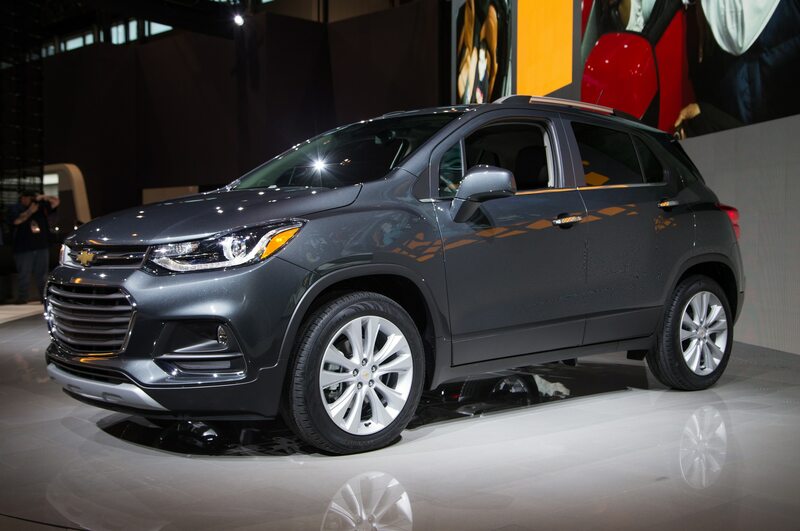 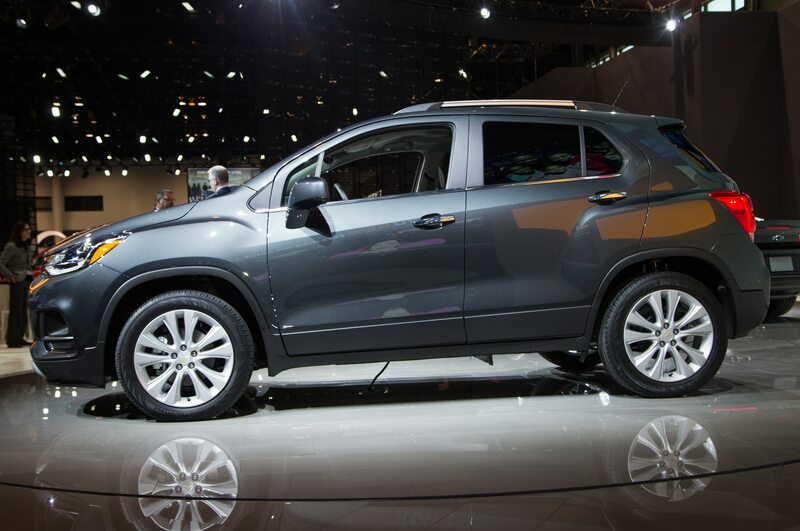 Our encounter with the revised Trax didn’t occur in the middle of the desert or through an Amazonian jungle like many other vehicle launches, but rather in the bustling metropolis of Chicago. 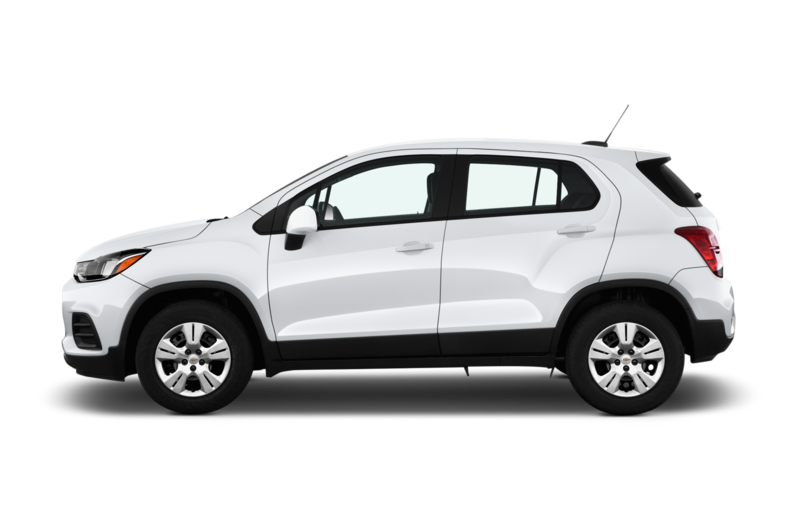 Throughout the day, we picked up smoothies, took bicycles to ride along the city’s new bike path, and stopped for lunch in Lincoln Park; in essence, we did what exactly 90 percent of Trax buyers are looking to do and encountered nothing like those snazzy commercials mentioned above. 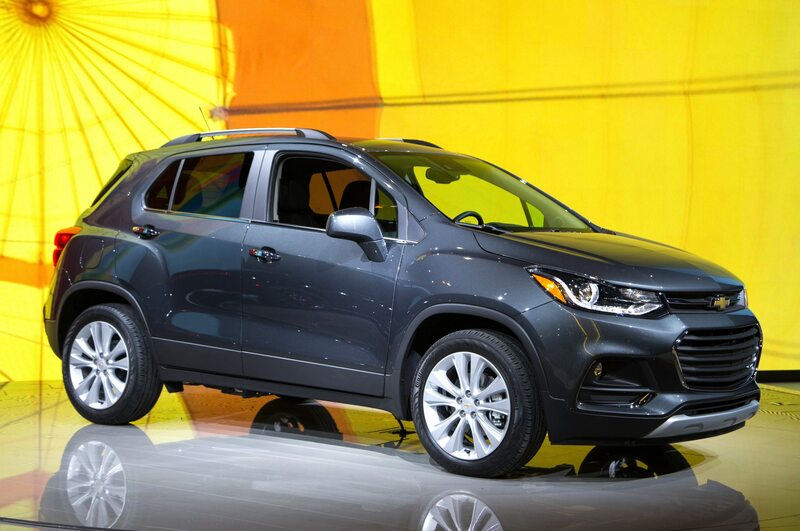 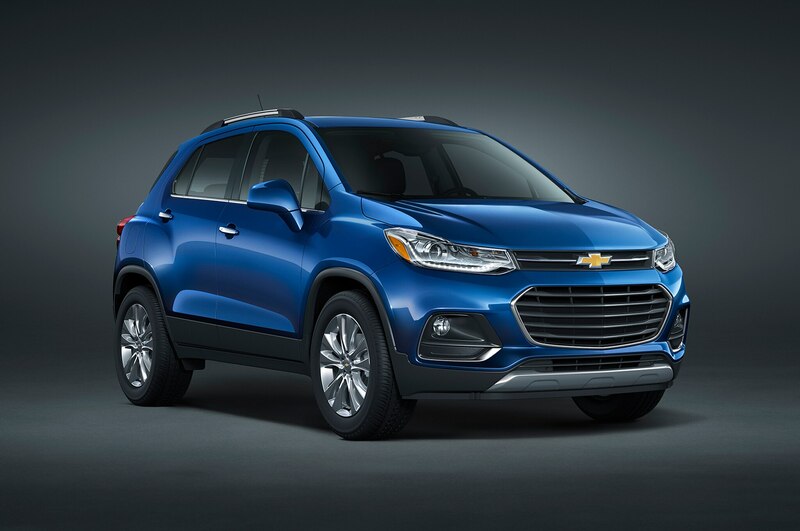 To that end, on the pothole-strewn streets of Chicago, the Chevrolet Trax’s revised suspension handled each bump with ease, translating little discomfort into the subcompact crossover’s cabin. 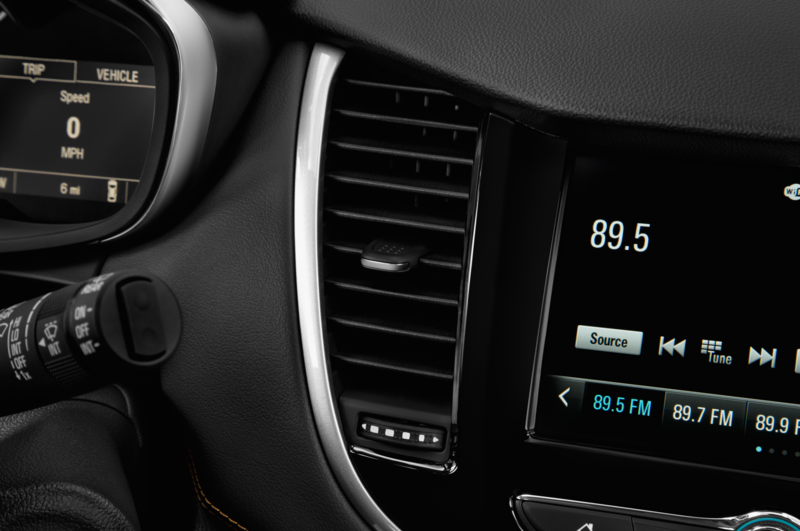 Sound however, was. 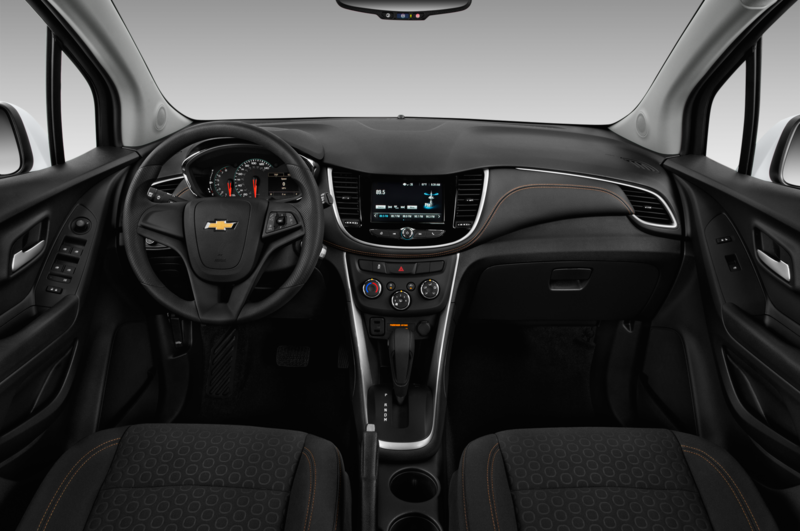 With each disruption from the road surface, a substantive reverberation echoed through the cabin. 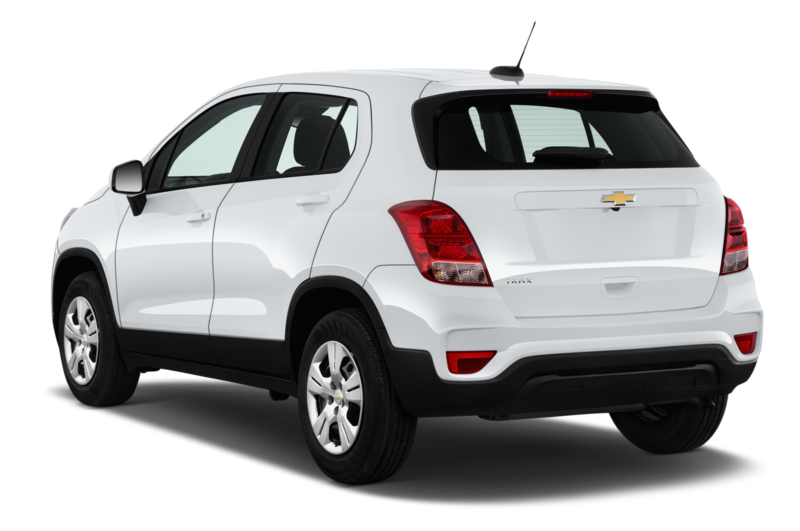 It wasn’t unbearable or a deal breaker by any measure, but neither was it as quiet as we would have liked. 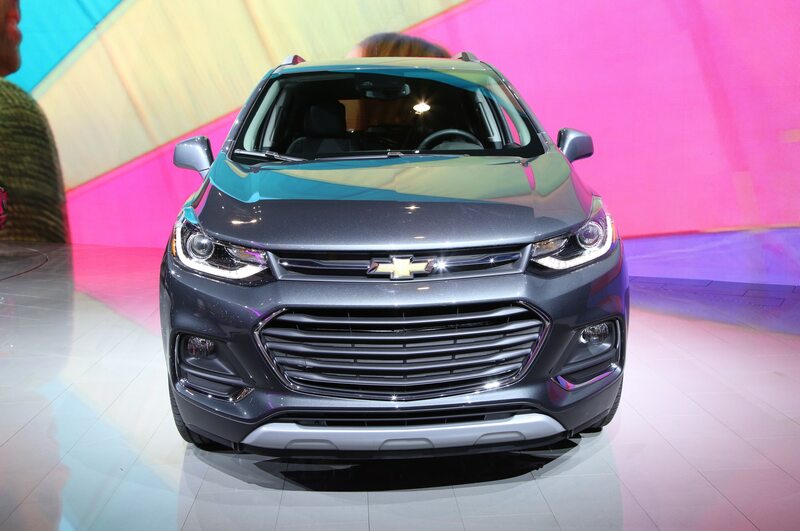 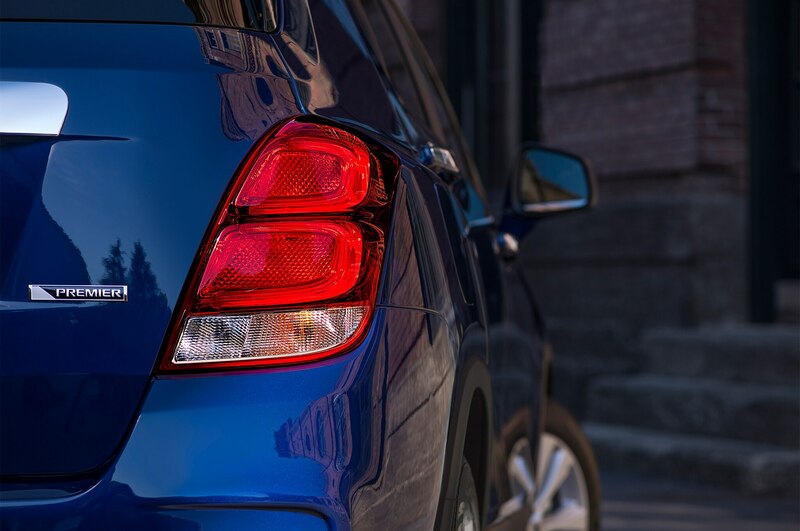 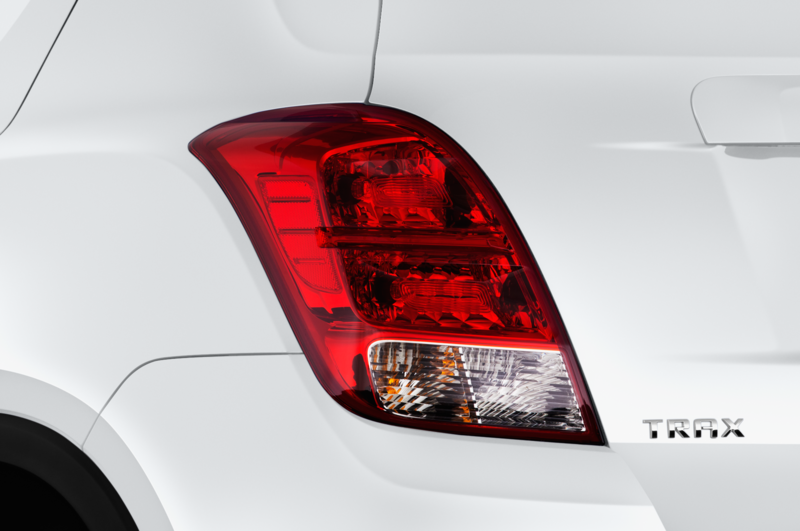 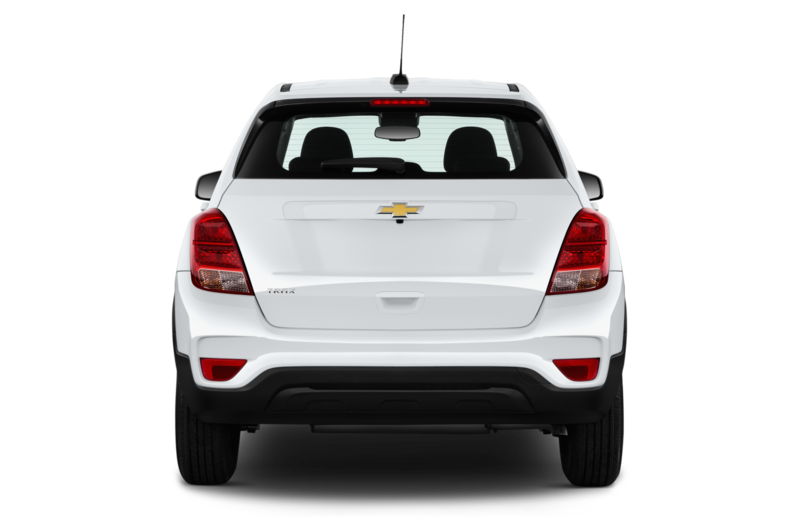 Powering the 2017 Trax is the 138-horsepower, turbocharged 1.4-liter found in the Chevrolet Cruze; in this application, the motor revs up faster and feels more energetic thanks to a revised tune. 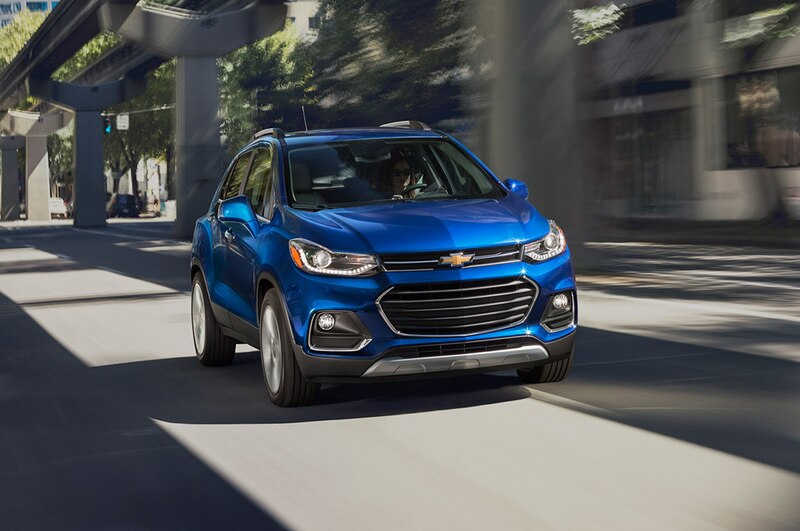 While the engine has been improved, the Trax is hampered by its less-adventurous six-speed automatic transmission, which consistently asks the driver to wait until it’s good and ready to shift gears up or down. 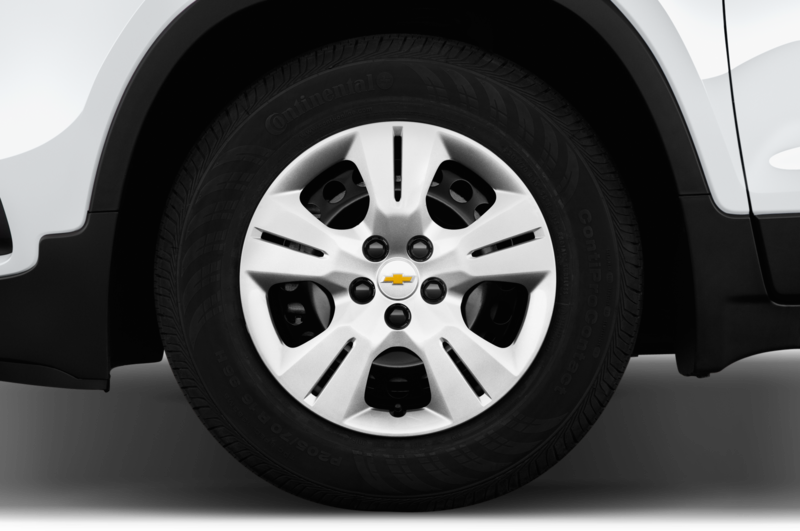 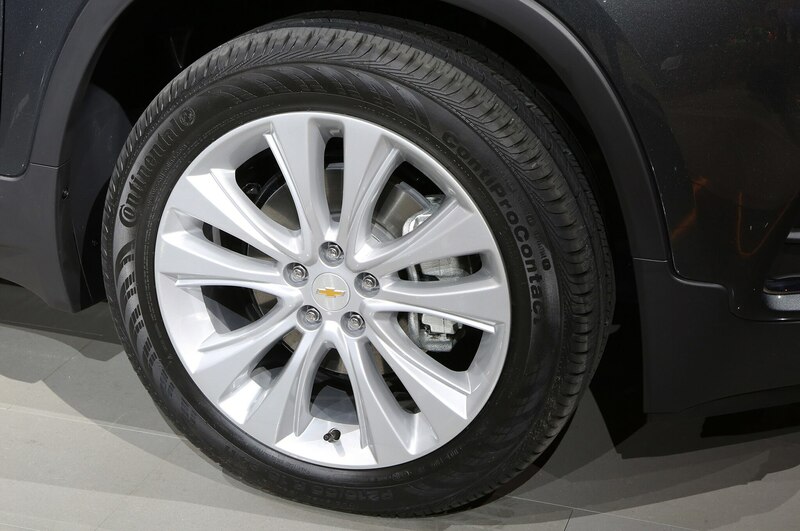 Chevrolet also offers an all-wheel drive Trax, a popular option for those in snowier states that have to make it through harsh winters. 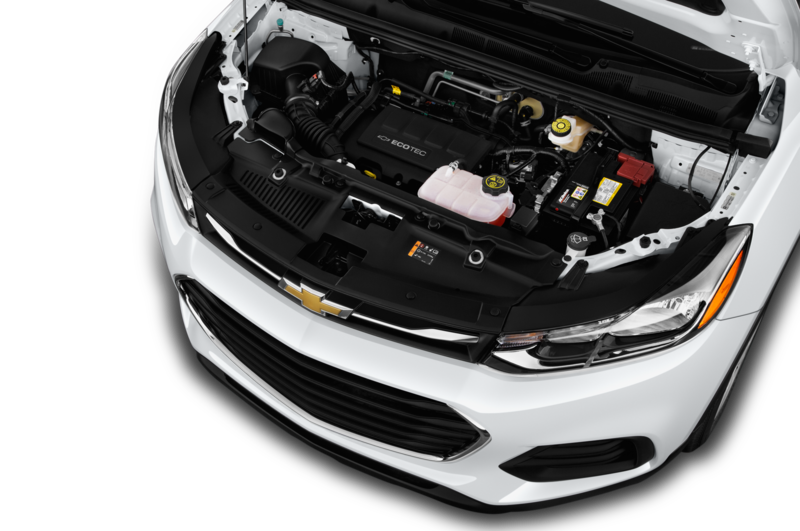 However, the additional weight of the all-wheel drive system slows the peppy 1.4-liter engine almost to the point where it negates much of its 138 horsepower. 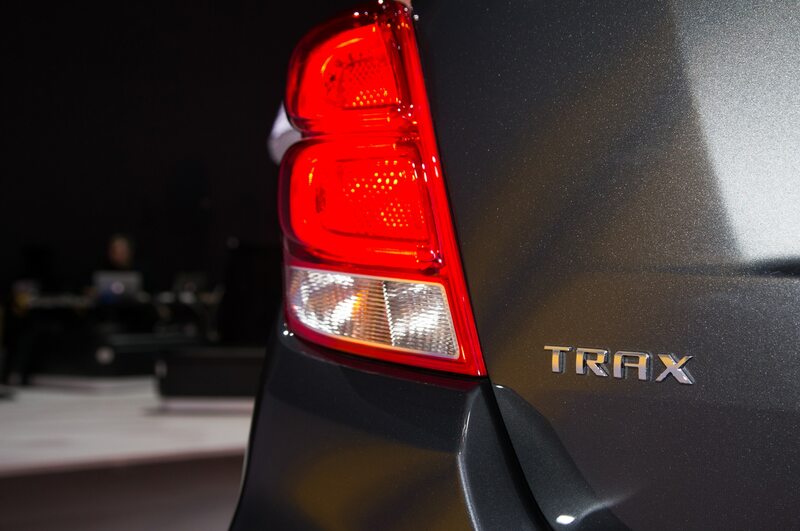 In all, the Trax felt perfectly capable of handling your daily to and from work, trips to the grocery, and dropping your 1.5 children off to school while we meandered up and down the streets near Wrigley Field. 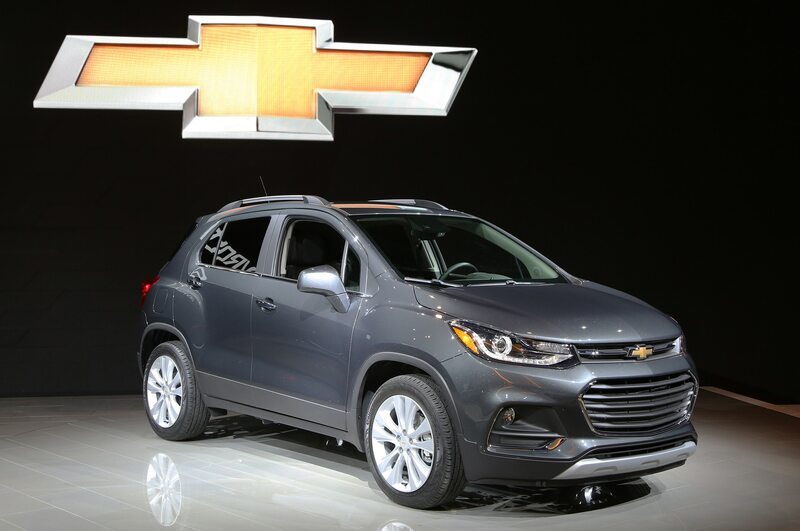 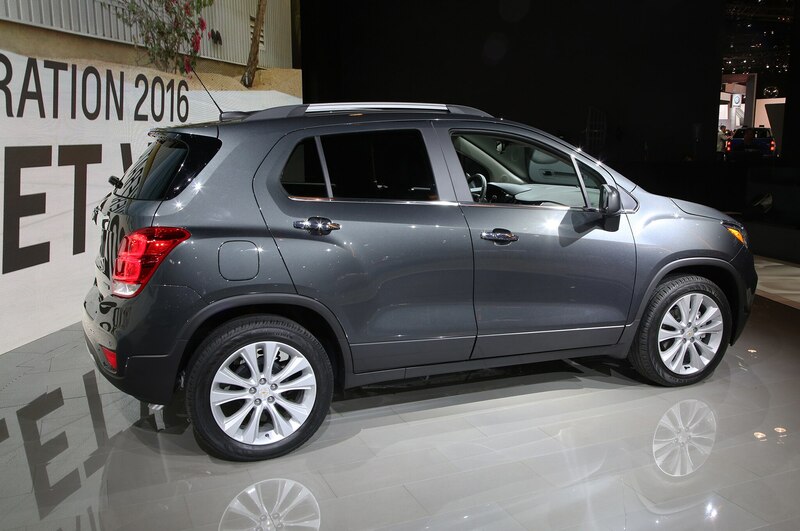 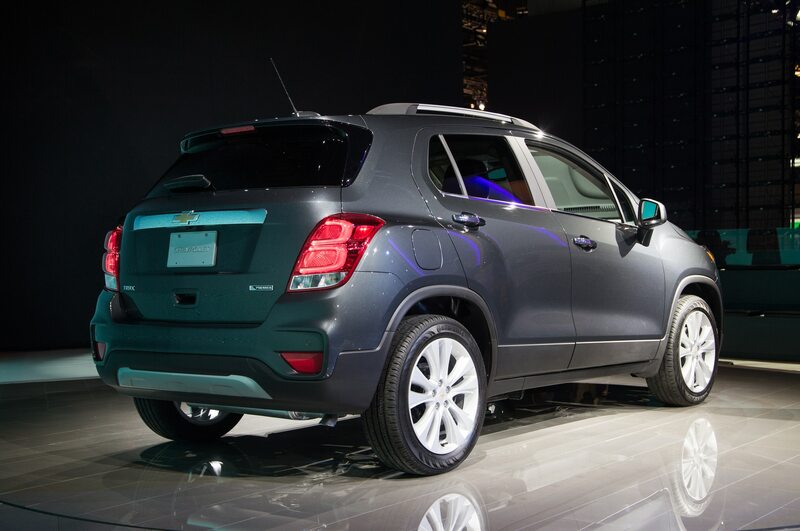 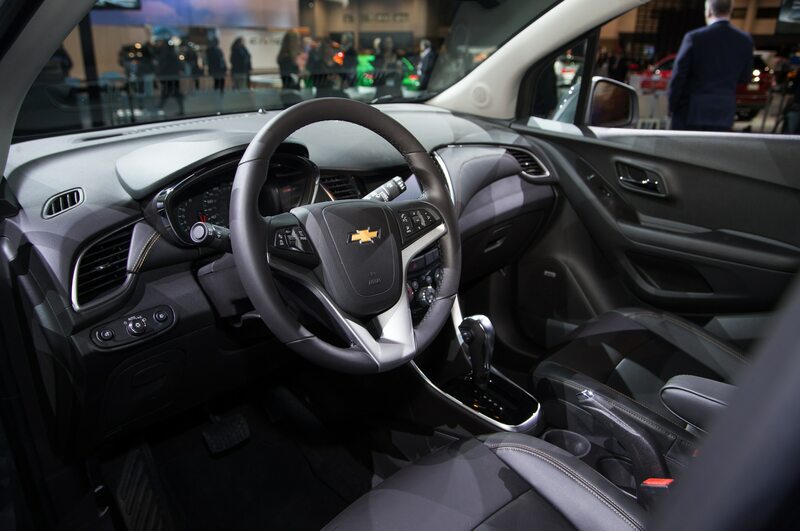 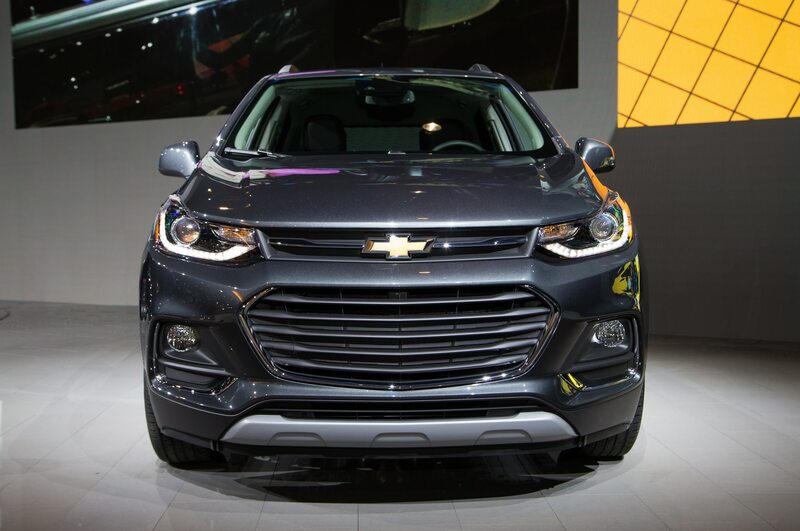 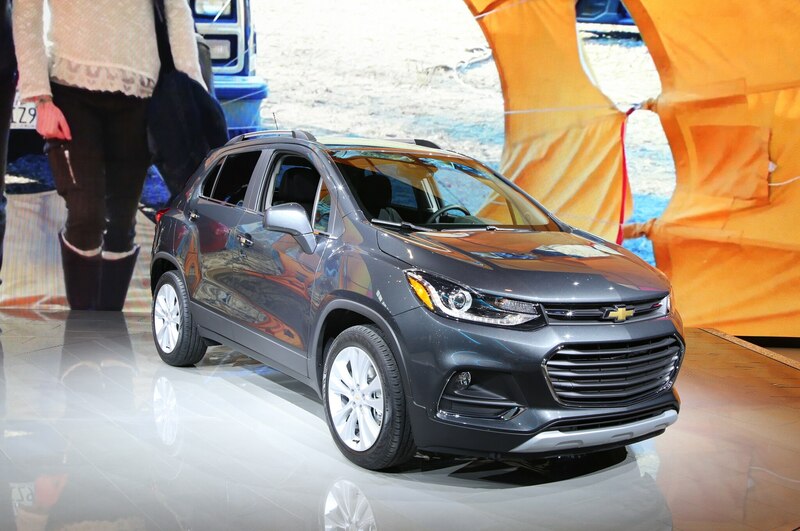 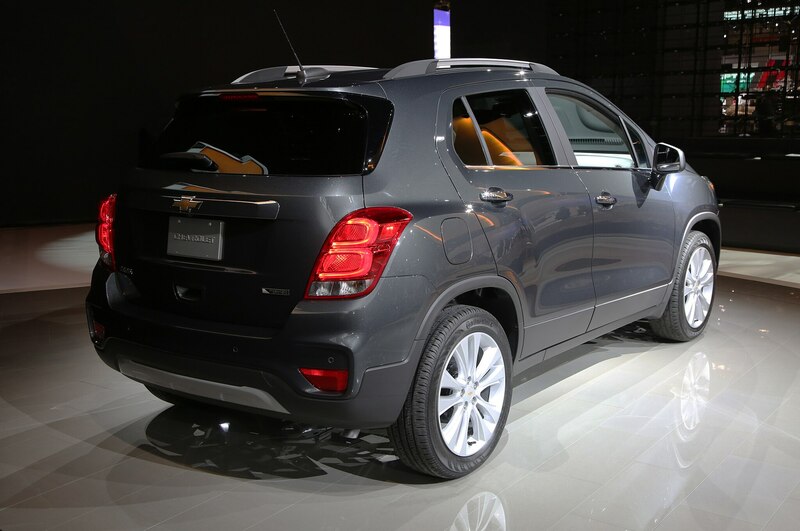 However, where Chevrolet could improve the Trax is in its cabin. 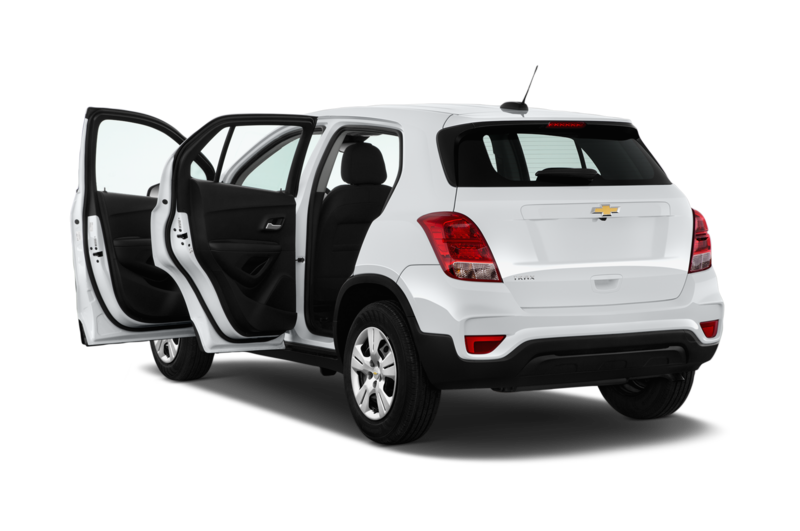 With a base price of just $21,195, the 2017 Chevrolet Trax is among the thriftiest subcompact crossovers available. 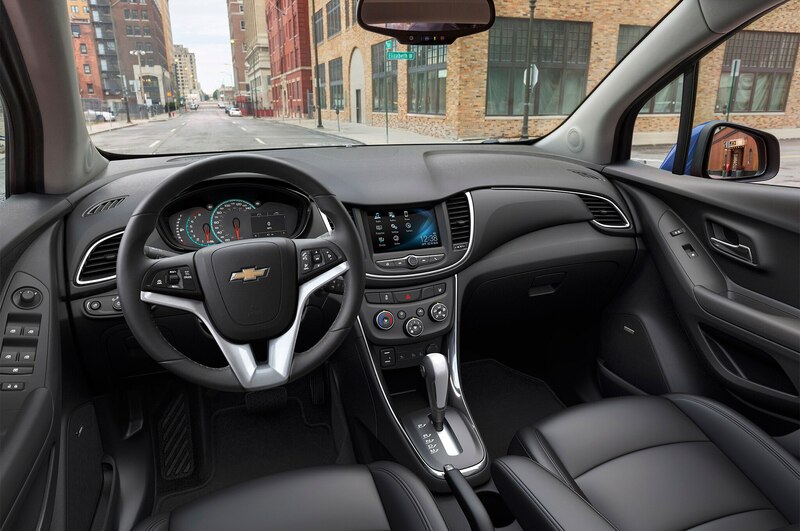 Stepping into the Trax’s cabin makes it abundantly clear where Chevrolet cut costs to get the starting price that low. 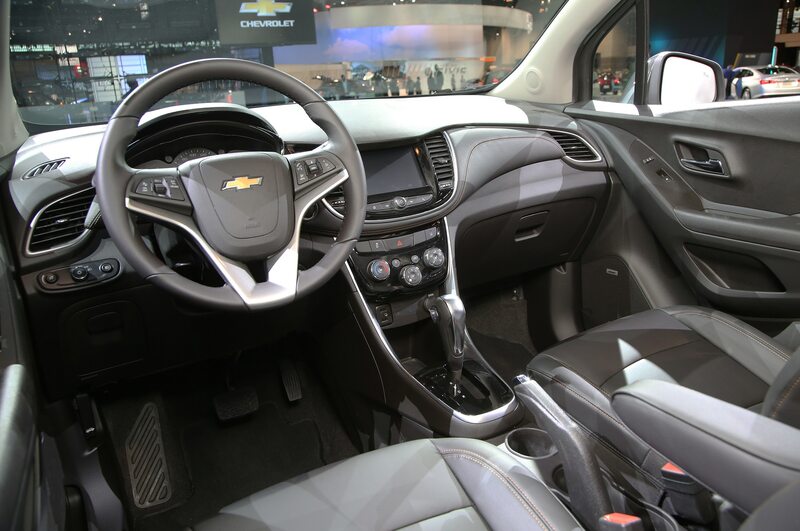 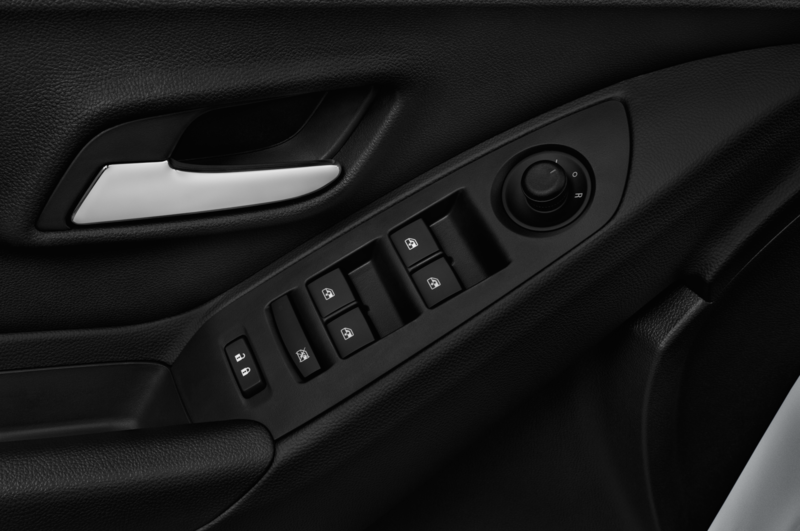 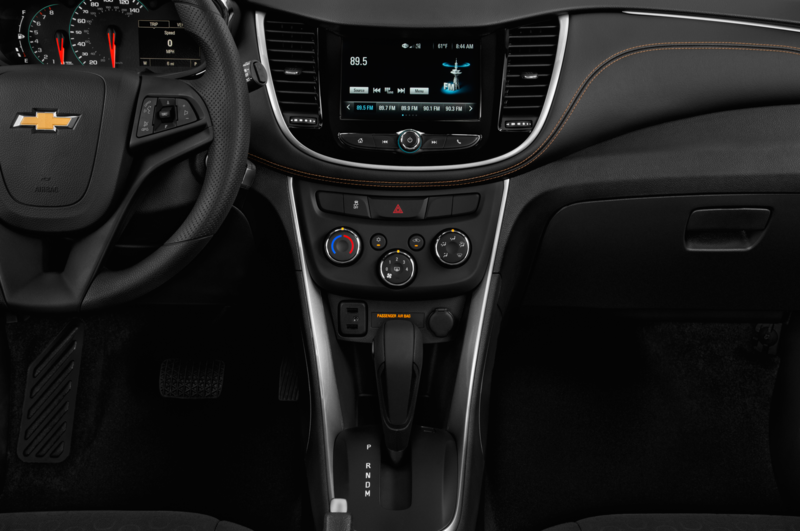 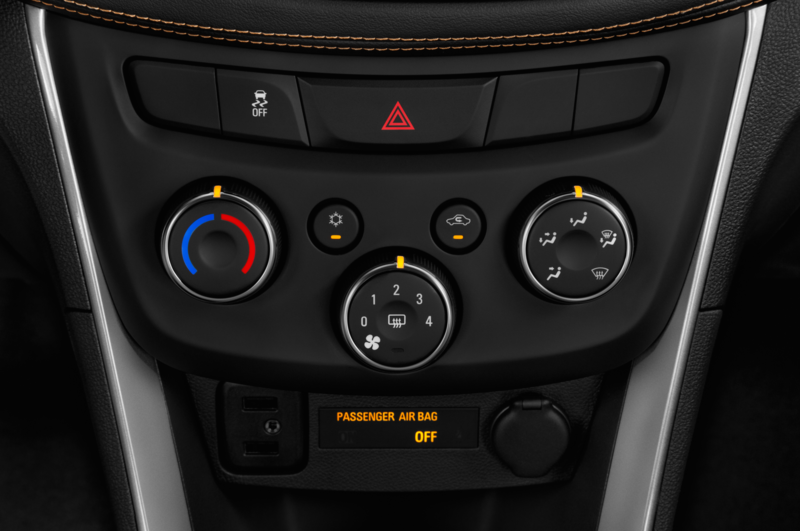 Hard plastics are used liberally throughout the cabin including much of the Trax’s door cards, part of the console, most of the infotainment and HVAC systems, as well as the centrally mounted shifter, which feels quite cheap. 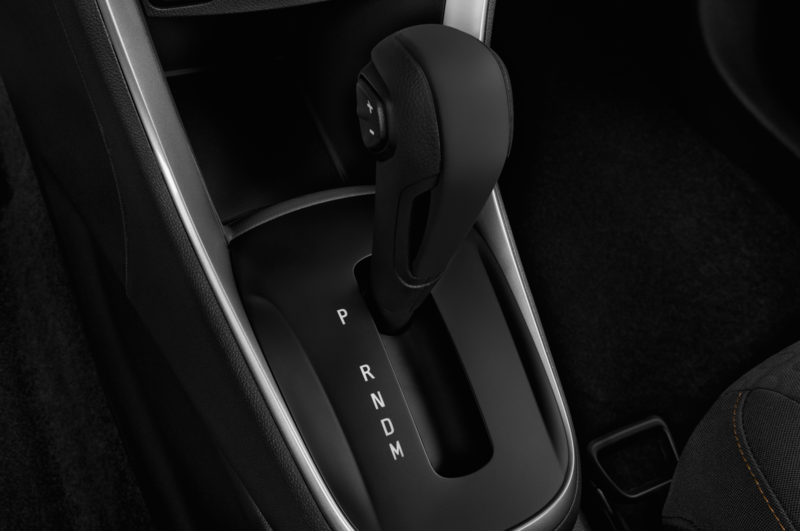 When shifting from Park to Drive, we half expected it to break in our hands. 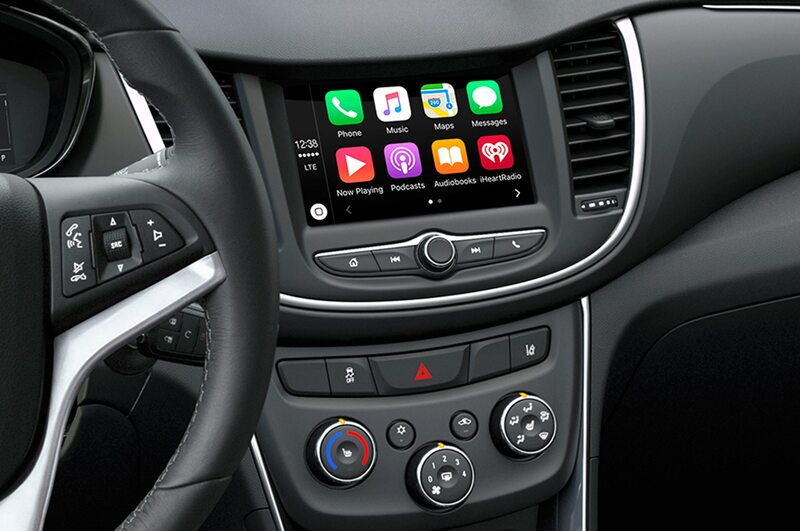 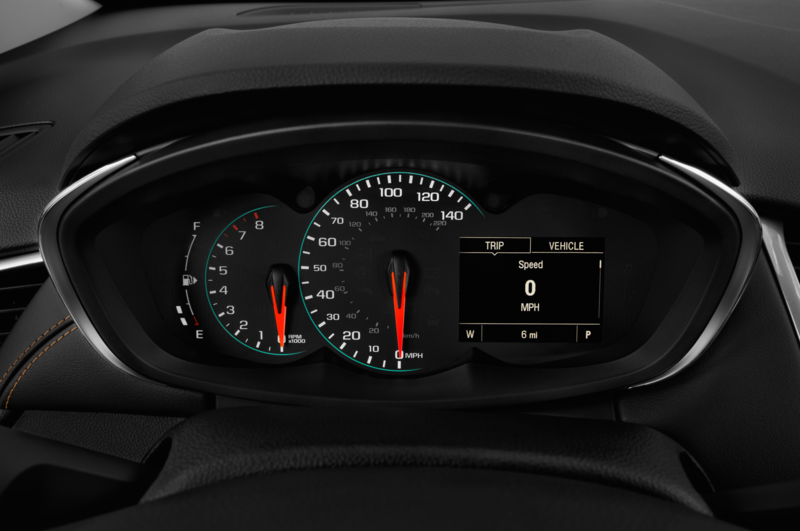 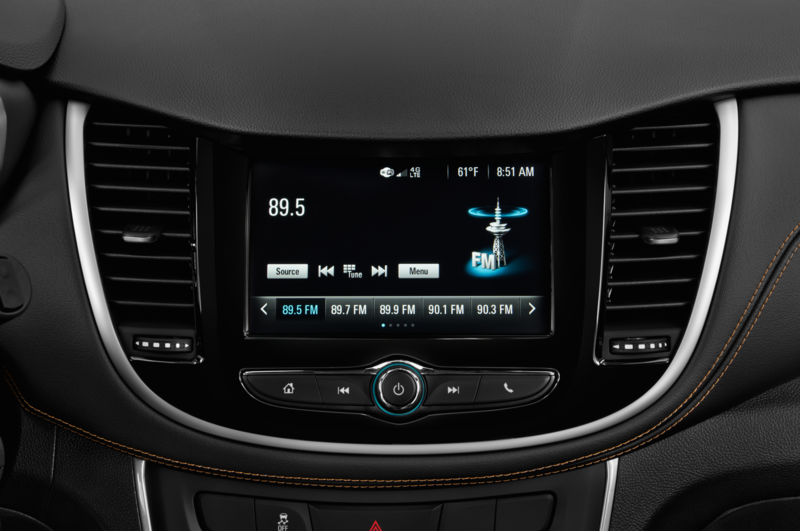 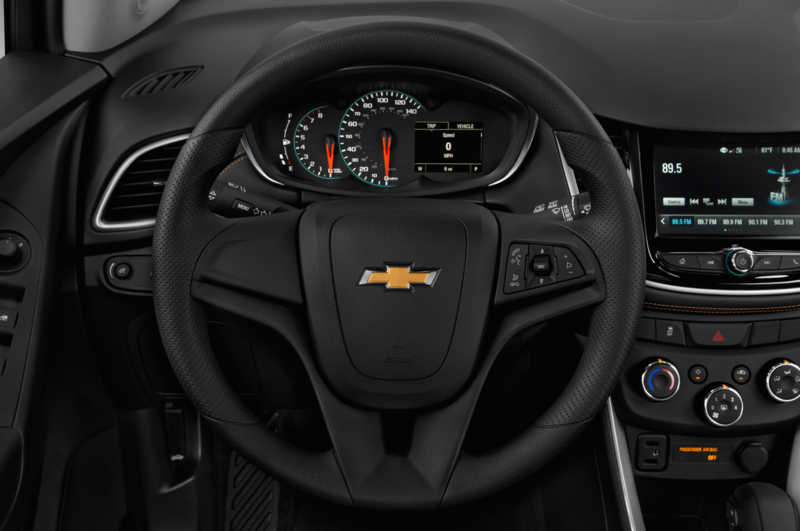 However, the infotainment controls, which Apple’s CarPlay and Android’s Auto have been added, and steering wheel, are pleasant to the fingertips and inspire confidence in their build quality. 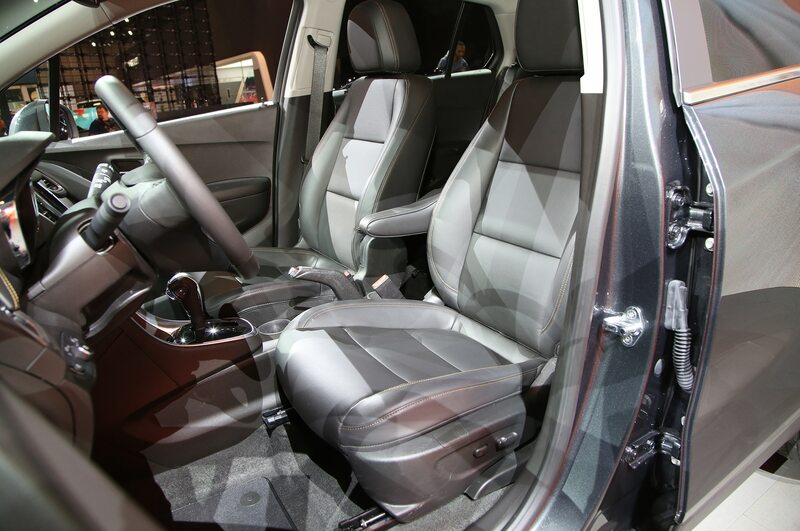 Both front leg and headroom is ample, even with the optional moon roof, buyers over 6 feet tall will be able to fit. 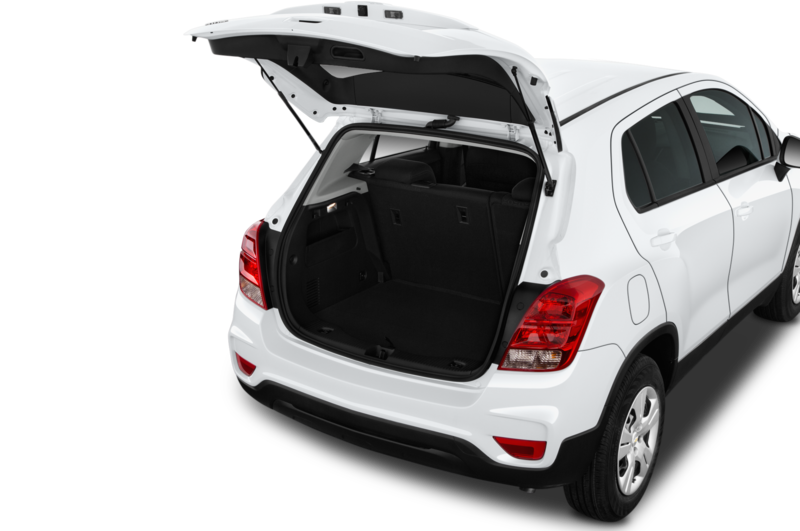 In the rear, there is less leg and headroom due to the Trax’s slightly raked roof, however, it hasn’t been decreased as badly as many of the coupe-like SUVs that have recently invaded the market. 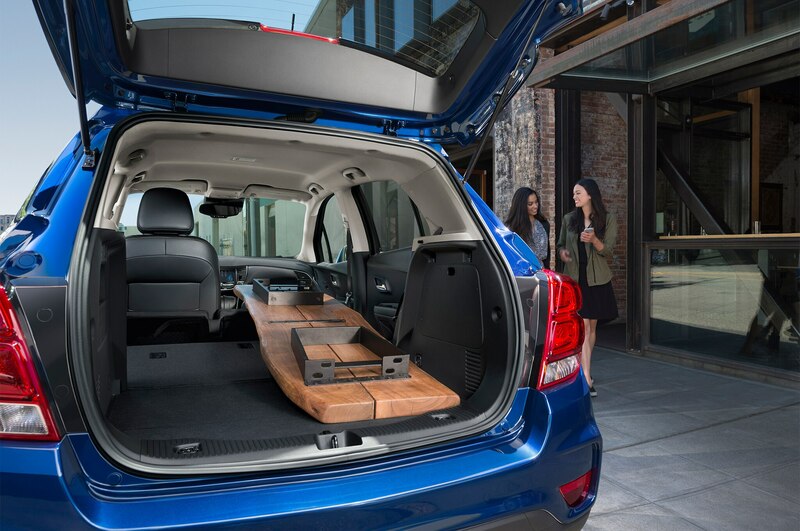 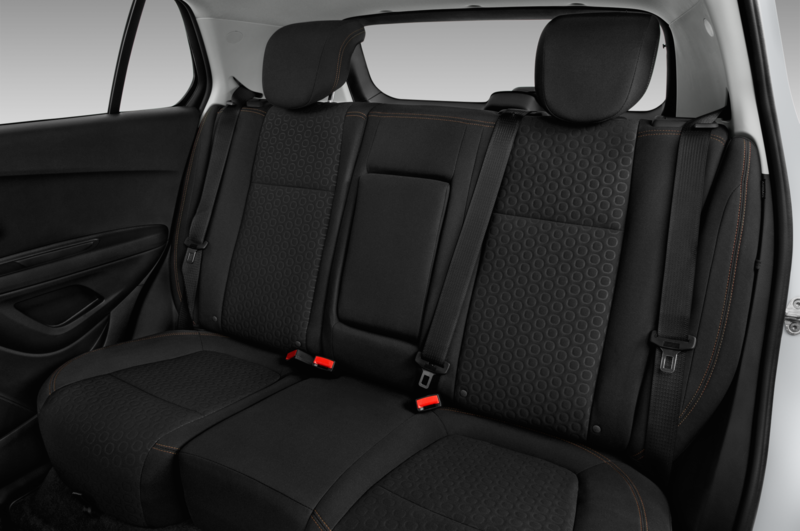 Moving further rearward, the seats fold down with ease and are able to give the driver up to 48 cubic feet of cargo space. 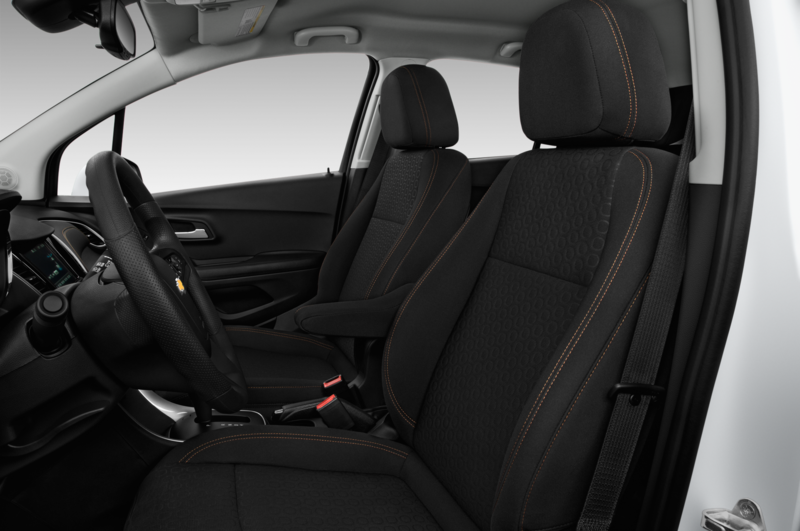 The base seats aren’t as bargain basement as you’d expect, but we hope that the scratchy fabric will soften over time. 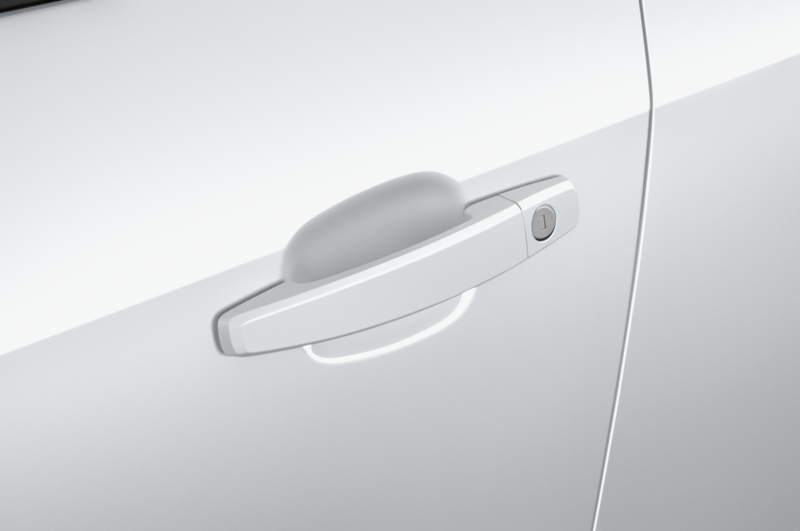 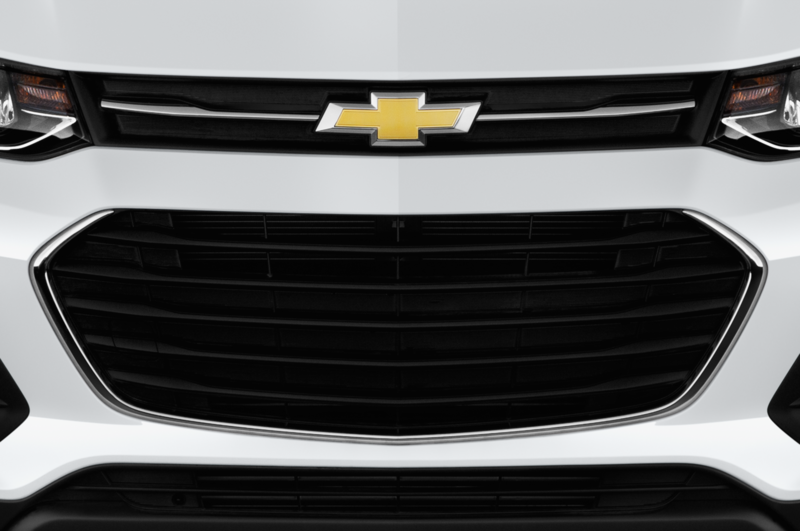 Upgrading to a higher trim will give buyers access to Chevrolet’s faux-leather material, which in our brief test during our lunch stop, feels worth the extra cash as the soft and supple lining provides drivers with a more luxurious commute. 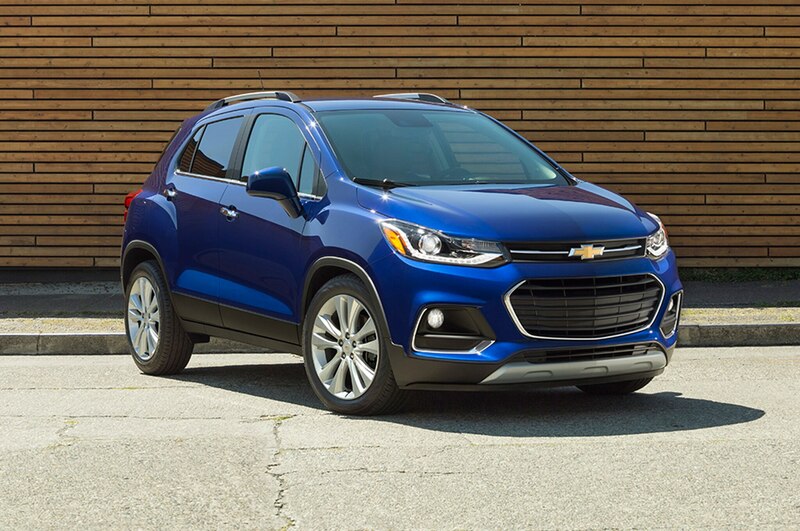 While the 2017 Chevrolet Trax won’t set the world on fire with a fire-breathing supercharged LT4 like in the company’s Corvette Z06, or conquer mountains like the Tahoe, its candid nature of being just a relatively comfortable, safe and economical machine to get you from point A to point B are worthy attributes and is definitely worthy of our praise. 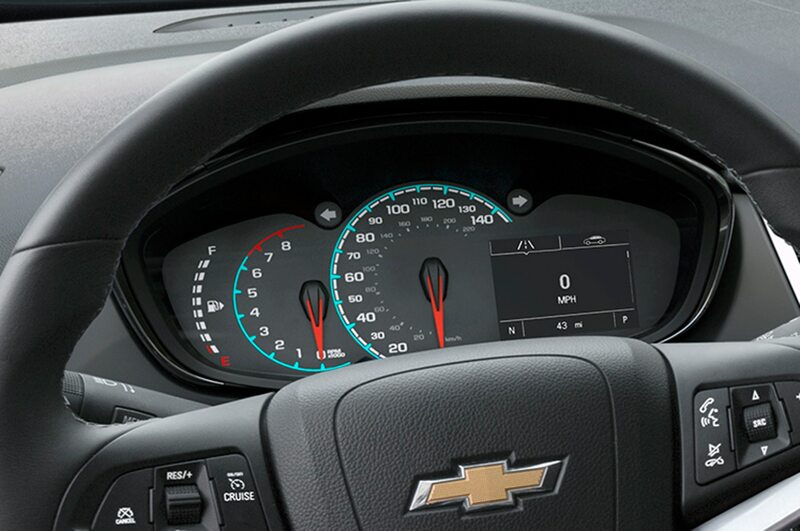 We wish more cars were like this. 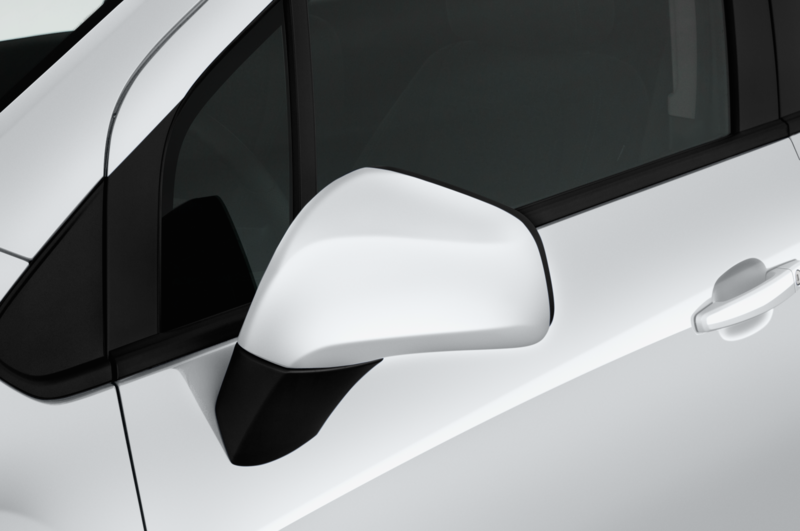 19 / 48 cu. 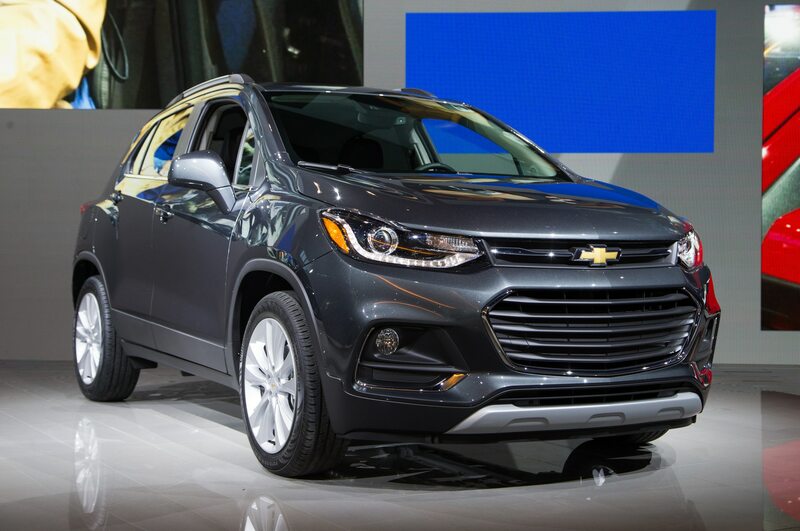 ft.
Far more attractive than the old model.